Pink Mountain RV Park on the Alaska Highway is a small town of some 100 people found in the foothills of the Canadian Rockies. Pink Mountain is located 113 miles (180 km) north of Fort St. John and 140 miles (224 km) north of Dawson Creek, on Mile 143 of the Alaska Highway. Alaska Highway - Pink Mountain B.C. Directions — Pink Mountain Campground and R.V. Park is located at milepost 143 along the Alaska Highway. 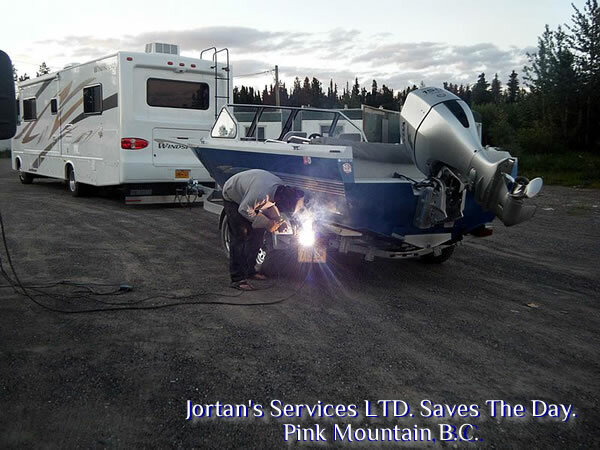 Pink Mountain Campground and RV Park is located 100 miles north of Fort Saint John and 18 miles south of Sikanni River Campground & RV Park. Description — Pink Mountain Campsite is a small but well maintained facility that offers full and partial hook-ups, dry sites, pull-throughs and tenting areas. Amenities include fuel, showers, laundry, dump station and a convenience store. This can be a very busy campsite and we greatly suggest making reservation in advance.